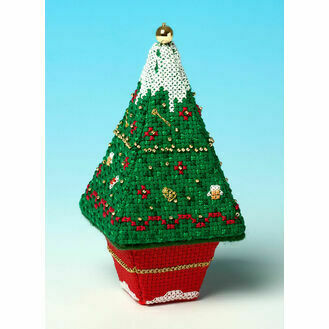 Nothing says Christmas quite like a 3D Christmas tree from The Nutmeg Company. 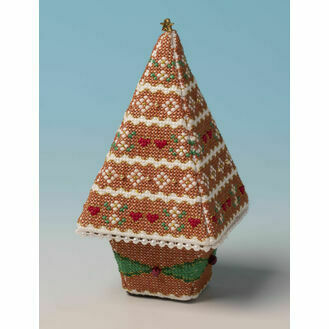 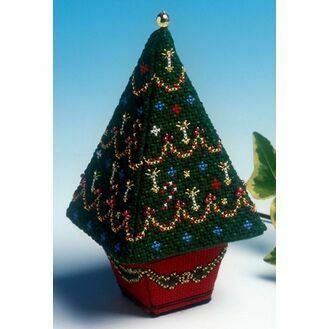 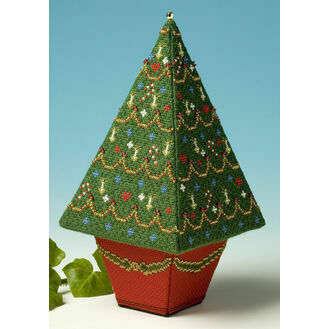 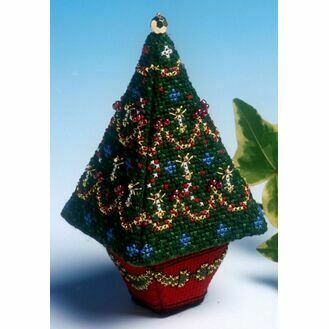 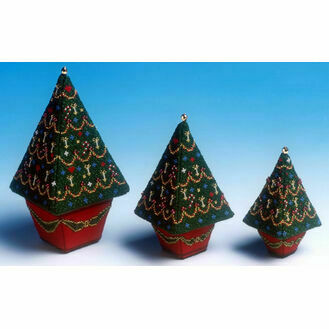 Covered with traditional decorations, these trees are easier to make than they look - work the stitching on the Aida, mount the stitching on the plastic canvas pieces, and sew the pieces together. 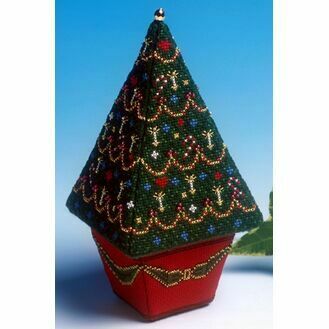 We promise you’ll love it!